They could face a stiff fine or jail time for breaking drone flight rules. The Los Angeles City Attorney filed criminal cases against two drone pilots on Wednesday for allegedly flying their drones in controlled airspace. The charges are the first under a new city ordinance that restricts drone flights to less than 400 feet, during daylight hours and not within 5 miles of an airport. The rules mirror Federal Aviation Administration regulations and carry a maximum penalty of up to $1,000 in fines and six months in prison. 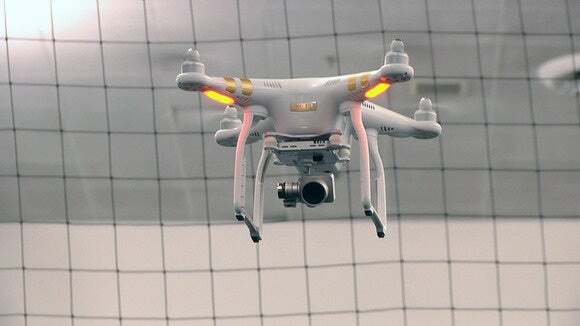 In each incident, the drones in question were spotted by a Los Angeles Police Dept. helicopter. Both Michael Ponce, 20, and Arvel Chappell, 35, were charged with flying above 400 feet and within 5 miles of an airport. Chappell was also charged with flying at night. In the first incident on Dec. 9, Ponce was allegedly observed flying a drone over Griffith Park, which is within three miles of a number of hospital heliports. Police met him in the park and seized his drone. On the second incident, just three days later, Chappell allegedly was observed flying within a quarter of a mile of Hooper Heliport. That’s not a great location to fly a drone, as it’s the LAPD’s downtown Los Angeles helicopter base. An LAPD helicopter coming in to land allegedly had to alter its flight path to avoid the drone. The Federal Aviation Administration has been scrambling in recent months to educate drone pilots on the need to follow air safety flight rules after a spate of reports from pilots about high-flying drones. In late December, the agency launched a drone registration program that asks pilots to register before flying. 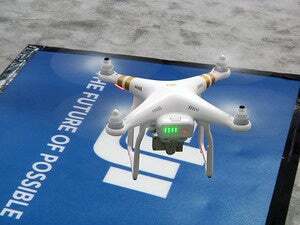 The program is primarily intended to be one of education and asks pilots to confirm they understand the basic rules of drone flight before completing the registration.